Esports are more than just fun and games – they’ve become a launching pad for brand deals, sponsorships, and even college scholarships! Over the past year, the number of college scholarships for esports athletes (yes, athletes!) has grown by over 450%. 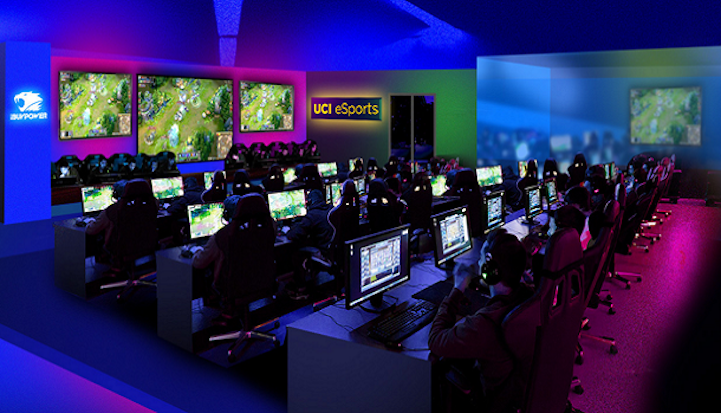 Currently, nearly 100 universities offer esports scholarships across a variety of titles including the University of California, Irvine, which supports its esports players with an enormous 3500 square foot arena. But which gamers have what it takes to move out of their living rooms and into arenas? As in any sport, becoming a professional gamer requires a ton of hard work and practice. Players must perfect their own gaming skills as well as learn to strategize and work alongside a team. In the case of traditional or “analog” sports, amateur leagues already exist for players looking to move into national or international leagues. But where should video gamers look to make a similar jump into professional gaming? With competitive video gaming on the rise, so too are opportunities where players can develop the skills needed to go pro. Here at Super League, we organize nationwide amateur esports tournaments where players compete in special Minecraft game modes at events designed for the entire family to enjoy. In our premier event, Minecraft City Champs, players join city-based teams to play in four unique game modes, battling fifteen other cities from across the country from local movie theaters that we transform into a real esports arena! Players will have the opportunity to learn sportsmanship, teamwork, leadership, and communications skills as they work with their team over the course of a structured four-week season! Your child can play like a pro with Minecraft City Champs — and who knows? Maybe one day they will be one! What will be your Super League story? Sign up today! Tickets are available until November 10.